Thinking back to when I first learned to read in English, I was taught to read aloud. I was taught to sound out the words. While learning to read, I was also taught to write. It was imperative that we put spaces between words but have the letters that make up the words next to each other without spaces. As I got older, I was told I had to learn to read silently: do not whisper or mumble the words, do not move my mouth when reading. Over the years of school and getting through hundreds of pages of reading a week, I learned to skim. 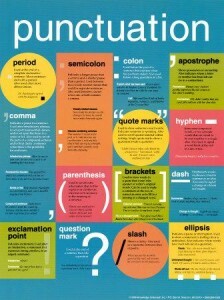 With punctuation, skimming to find the important points was easier. I knew when an idea ended and when extraneous information was included, usually in between parentheses. Being a teacher, I have noticed many things about my students writing and reading skills. One main observation is the spelling. The spelling is atrocious. The grammatical and word usage errors are plentiful; for example, there instead of their. A secondary observation I made is the use of abbreviations to the point where I cannot understand what they are saying. Thus, for this assignment, I am venturing into the world of the transition of word separation, appearance of punctuation, and evolution of Modern English. It is clear that the writing of text has been around for millenia, as demonstrated by the Egyptians, Chinese, Greeks, and Romans. To focus on the age of Antiquity, the writing of text was not standardized, there was no accepted word order which made it difficult to read silently, therefore writing was meant to be read aloud (Borowitz, 2006). 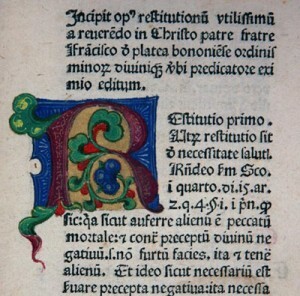 The practice of writing without spaces between words is called “scriptura continua” or “scriptio continua”. Scriptura continua had the letters sitting next to each other without interword spacing and did not have the distractions of punctuation or upper and lower case letters (Cordingley, 2006, ¶12). There was no need for punctuation because the text was read aloud and the phrases were understood because of prosodic rhythm (Cordingley, 2006, ¶6). Latin scriptura continua was disrupted in the seventh century by Irish scribes. 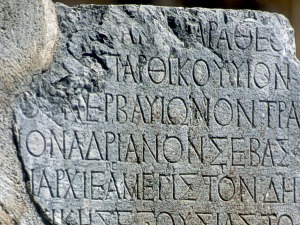 This was to make Latin more readable to those whom Latin was a foreign language. It was also at this time that the Irish scribes introduced some punctuation (Cordingley, 2006, ¶12-13). But by the eleventh century, word separation became commonplace and a standardized word order appeared (Borowitz, 2006). As previously mentioned, Irish scribes began to separate the words and use punctuation to made texts readable for whom Latin was a foreign language. Medieval archivists used the full stop to indicate a definite break in an idea. 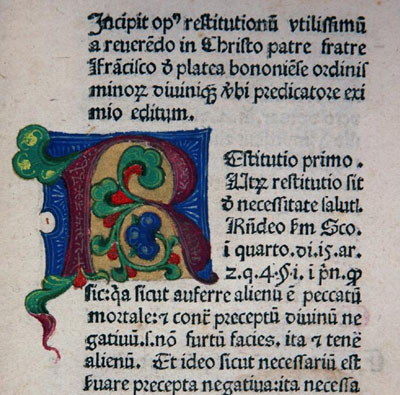 They also used a final flourish to indicate the end of a paragraph. Unfortunately by the fifteenth century, the archivists’ practice of punctuation became lax. This was largely due to the increasing numbers of documents being written. The lackadaisical attitude of punctuation usage was because the documents and information were intended for the archivist himself and colleagues to read. The bad habits of the archivists naturally extended to less formal writing practices, such as writing letters to outside parties; thus the regulation of punctuation usage or rules became more casual. By the sixteenth century, informal letter writing became popularized and the casualness of punctuation extended outside the archivists’ realm (Jenkinson, 1926). As punctuation and letter writing became more popular, the transition from reading aloud to silent reading began. Silent reading became more commonplace in the late middle ages. The reader relied on punctuation to help “discern the limits of clausulae within text and the rhythms of the cursus” (Cordlingley, 2006, ¶15). Punctuation became the task of the scribe so that the reader could read silently. Paul Saenger points out that isolating individual words was a cognitive task done by the reader but punctuation for silent reading became the task of the scribe (1997). The presence of punctuation in text altered and simplified the process of reading in the neurophysiological sense. Punctuation allows the reader’s brain to group words together which allows for faster reading. The reader’s eye looks for punctuation marks to help make sense of the words and aids with comprehension. The reader relies on punctuation to regulate eye movement which also helps with rapid reading (Cordingley, 2006). The ancestor to modern English is Chancery English. 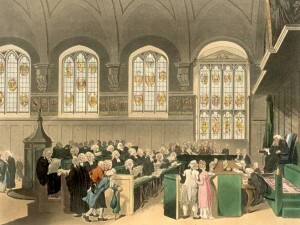 Chancery English was the form of English used in the high court of England. 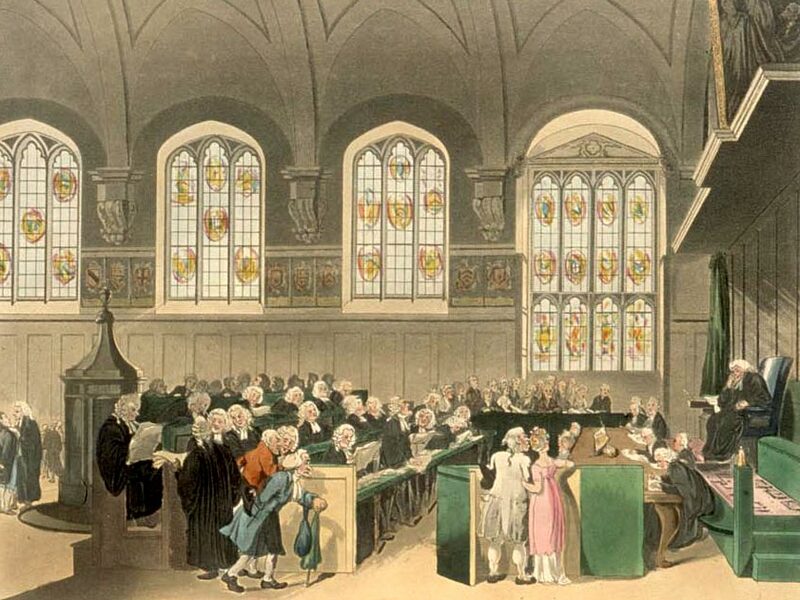 In 1392, clerks admitted that Parliament was addressed in English and by the fifteenth century, Chancery English was used exclusively in the bureaucratic, administrative, and government sectors. As time went on, English became more commonly used and it appeared in non-Chancery documents which were actually complaints to the Chancery. Because of this, the form began to evolve. Writing in English grew outside of Academia and appeared in business writing. London English appeared and was considered to be a dialect of Chancery English and London English differed from scribe to scribe. But by the late fifteenth century, Modern Written English was determined by the professional scribes and clerks in Chancery. It should be noted that Modern English is not Chancery English but has had a strong influence on the spelling, grammar, and idiom of Modern English (Fisher, 1977). In this brief history of punctuation and Modern English, it is important to observe that English in education was a slow process, just like grammaticization. Changes within grammar occur very slowly. It is with punctuation that oral culture transitioned to include a written culture. Some still view punctuation to be unnecessary as Samuel Beckett demonstrated this in his piece in 1959 L’image. Gertrude Stein held quite the hostile attitude towards punctuation as she believes that written prose is so structured and that question marks and the such are unnecessary as the reader should get the sense from the way the sentence is written (Cordingley, 2006, ¶8). Alas, since not all text is read aloud, punctuation allows the silent reader to make sense of the content without prosodic properties. As I have mentioned, grammaticization is a slow process but construction can rise steeply as the frequency of use increases. For example, the change of “going to” to “gonna” in every day writing and speech. This has occurred because of the increase in the types of contexts which this new construction is possible (Bybee, 1998). The increased usage and appearance in text in a various subjects will make it possible for new words to become more socially, and possibly grammatically, acceptable. One just needs to look at the new entries into the Webster’s and Oxford English Dictionaries to see how English is constantly evolving and changing. We find abbreviations and acronyms, made up words (e.g. googled) being added. Does it using a newly constructed word, such as the verb “to google”, be acceptable because everyone is doing it? Should we accept the change in our students’ and adolescents’ writing with abbreviation and grammatical errors? Personally, I do not but it depends on the context. I expect academic writing or anything submitted in an academic environment to be grammatically correct with proper punctuation and correct spelling. With the emergence of email, social networking sites, text messaging, and instant messaging, we should expect there to be a change in the grammaticization construction of text. As Bybee noted, development will occur as frequency of use increases. Enjoy this video of Victor Borg reading aloud and his take on punctuation. Saenger, P. (1997). Spaces between words: The origins of silent reading. Stanford: Stanford University Press. This entry was posted in Research Paper and tagged adora, english, grammar, history, language, punctuation, research_paper, scriptura_continua, words, writing. Bookmark the permalink.